1.Even power off,emergency handle can work. 2.Two mounting types can be selected. 3.When valve operated by electric,handle stays in original position. 5.Mounting surface is according to DIN24340 A series and WE. Be suitable for AC or DC power supply, maximum flow of size 6 valve is 60l/min,maximum flow of size 10 is 120l/min, with auxiliary handle electromagnetic valve.Even power off,still can be operated allowing in case of power failure can still be operation.when maintenance,valve handle can be operated in emergency situations,MV is on behalf of handle, and valve axis is into vertical state of placement,so as to not affect valve handle mechanism performance. Solenoid valve with auxiliary handle and technical data is same as DSG solenoid valve,working principle is the same as dsg01 and dsg03 solenoid valve.Which referred to DSG solenoid valve.If you need corrosion resistant DMSG Directional Valve (DMSG03-3C2 D24),please contact us.This kind of particular series of DMSG Directional Valve has excellent performance and can be used on varied industries. And has approved by CE,etc. 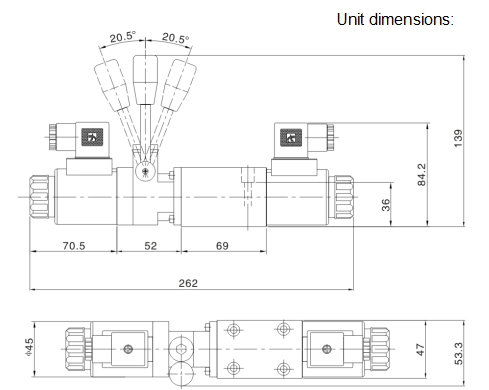 With latest production equipment,we design DMSG Directional Valves in different size and appearance with DMSG Directional Valve (DMSG03-3C2 D24) and DMSG Directional Valve (DMSG02-3C2 D24). And we are well-known for offering more accurate dimension DMSG Directional Valves all over Europe, Middle East, South America, East Asia, Australia etc. Directional Valve had approved by CE , we can offer valves with corrosion resistant, impact & heat resistant and long service life. 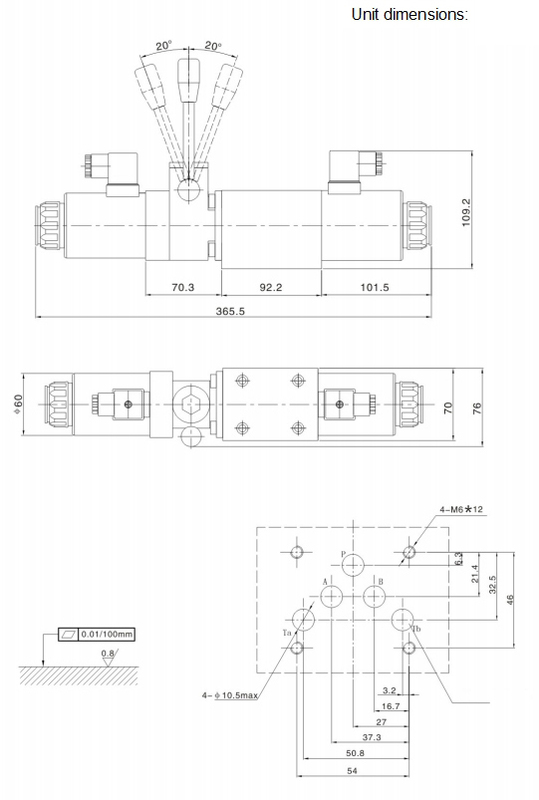 With more than ten years experience in designing and manufacturing DMSG Directional Valves. 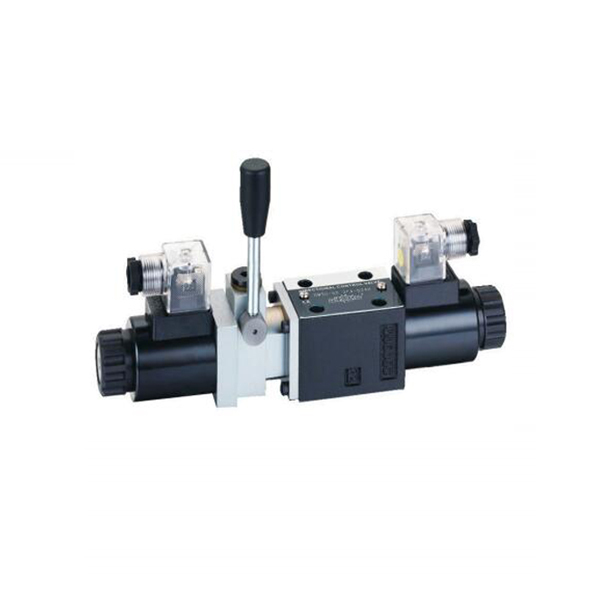 Our DMSG Directional Valve (DMSG02-3C2 D12) series can bring you high- technology utilization. Electro hydraulic reversing valve and hydraulic control valves are used in the hydraulic system which the flow over the normal operation of the solenoid hydraulic control valves to control the movement of the actuator or control the flow direction of the oil. 1.Products can be arbitrarily installed, priority level position. 2.The hydraulic system must be filtered by the media, filtration accuracy at least 20μm. 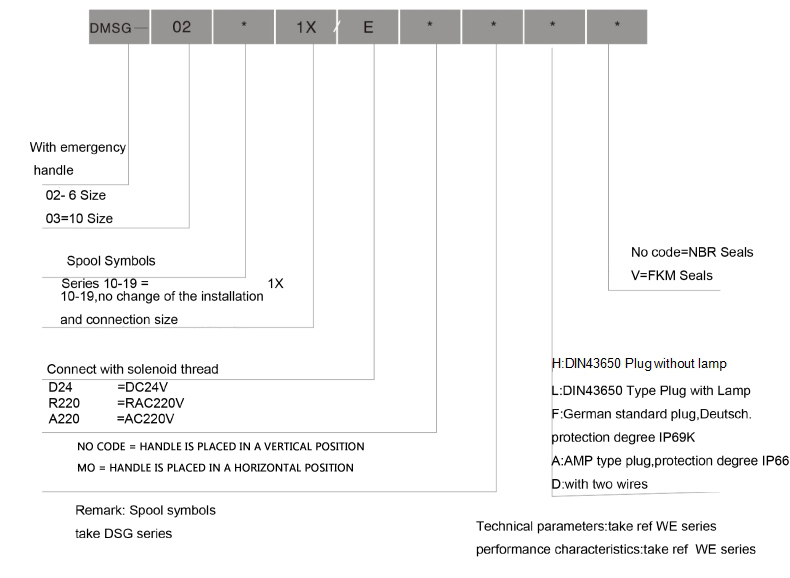 3.Fixed screw selection according to the parameters listed in the sample. 4.The roughness of the surface of the hydraulic control valve is required to Ra0.8, and the flatness is required for 0.01/100mm. When the two yuken hydraulic valves coil through the power, the balance hole circuit is closed, the discharge hole circuit is opened, the piston pressure relief, the piston upward, the valve opens. On the contrary, the piston down, the valve closes. 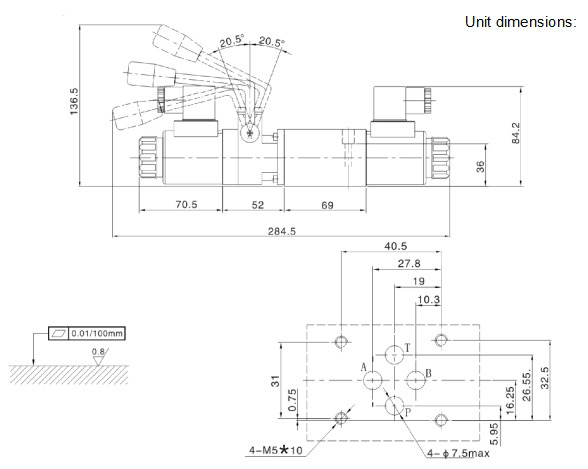 In the yuken hydraulic solenoid valve opening and closing process, the flow rate signal and valve plug position signal is transmitted to the computer, after the computer processing to send out the corresponding command, control power down state of the two solenoid hydraulic control valves, so that the piston of the upper chamber of the hydraulic pressure difference, so that the piston control in the required opening height, to achieve the pipeline medium flow control.